Aspiring and emerging filmmakers can develop their skills in cinematic storytelling techniques and gain insight into the new frontier of virtual reality and transmedia during the Filmmaker Insights Symposium May 13-15 at the Ernie Radbourne Pavilion (see Locations). Presented in collaboration with PRIMAA (Peace Region Independent Media Arts Association), jury members and filmmakers share their knowledge and experience during the following workshops and panels. 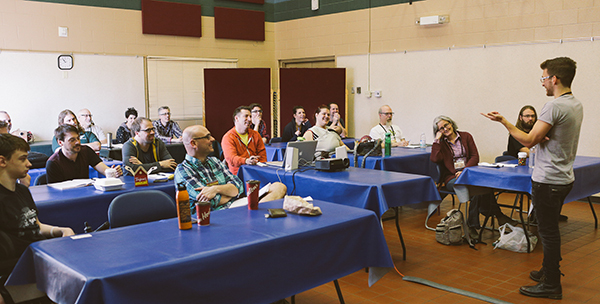 Cody Blue Snider presents his Filmmaker Insights workshop, Fool’s Day – Concept to Creation (Making an Award-Winning Short) at the 2015 fest.